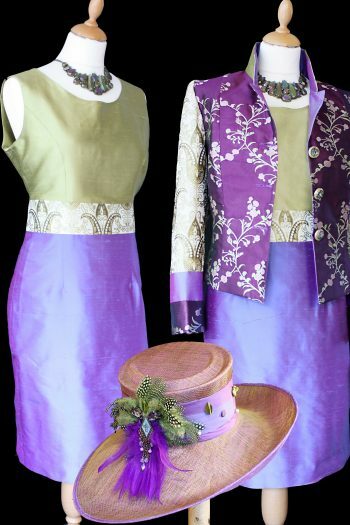 I have been designing and making wedding outfits for the mother of the bride or groom from my shop here in Stow-on-the-Wold, Gloucestershire, for over 25 years. My shop always carries a full and inspiring collection of ready-to-wear outfits to browse through, try on and buy. 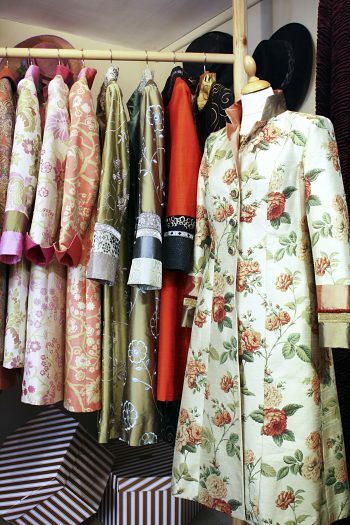 I love colour and texture and putting beautiful fabrics and trims together to create gorgeous one off creations. I design all the outfits in my shop, which are then beautifully made by my team of local seamstresses. 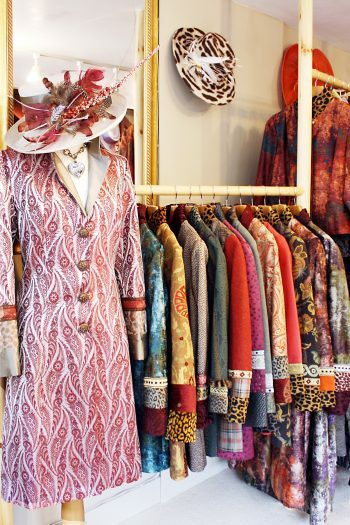 Treat yourself to a full-length coat or a fitted jacket with a chic dress or matching skirt and top. Add a spectacular hat and be the best dressed mother! If you decide to have a made-to-measure outfit, the first thing to do is book an appointment to see me. We will spend some time together, over a cup of tea or coffee or even a glass of wine, discussing what you have in mind. I can then guide you through all the style and colour options to create the outfit perfect for your wedding. Following on from your initial visit, we will arrange a date for your first fitting. At this stage we can make fine adjustments and decide on your final details. A subsequent appointment will be arranged for you to collect your outfit or if necessary have a few minor tweaks. Sometimes further visits may be required in order to achieve the perfect fit. You should allow around 6-8 weeks from your first appointment to collection of your finished outfit. However, the more time you allow the better it is for all involved. On occasions we can work to a tighter time schedule. Before starting we will discuss your timing and will, of course, keep to your deadline. As a guide, clients spend around £800 to £1,200 on their outfit. The final price will depend on what you have and your choice of style, fabric and trimming. Naturally, a ready-to-wear outfit will cost less than one made-to-measure. I am always happy to design an outfit around something you already have. 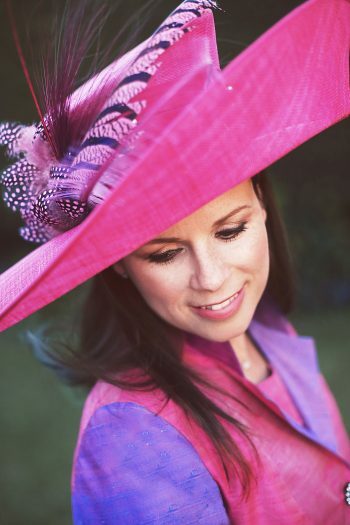 With over 25 years of experience I provide a valuable and personal service to the mother of the bride or groom. My outfits are available exclusively from my shop. You choose the fabric, style and details which go to make your outfit unique. 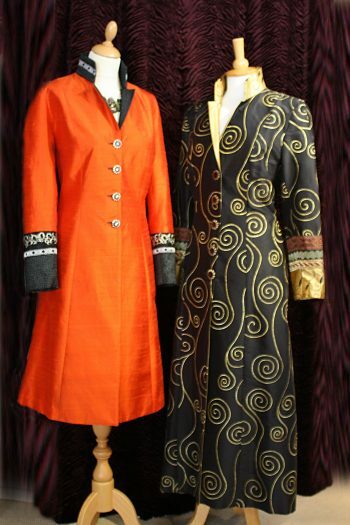 Hats, Coats, Jackets, Dresses and skirts designed and made especially for you. 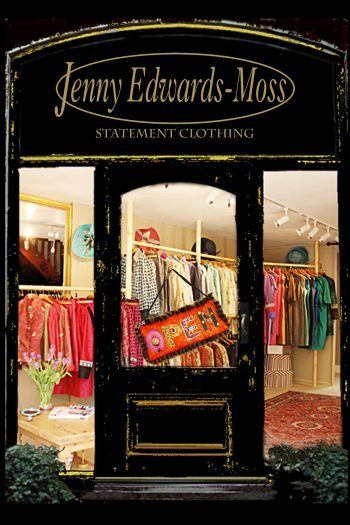 Look at my website: www.jennyedwardsmoss.co.uk for more information. Come for a look and a chat. I hope you will see for yourself why so many people are delighted to have discovered my shop.